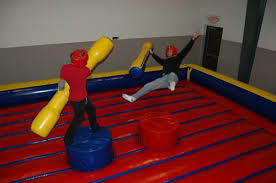 Joust Rentals in Belchertown MA are a great option for older kids looking for something fun to do at their party. Joust Rentals are always a hit at a high school or college graduation party or older kid birthday party. Joust Rentals are also sure to be a blast at any school or college fun day. We have two different options for Joust Rentals in Belchertown MA. The Pedestal Joust is great for those who just want a jousting arena. The Octagon Extreme Rental is the most versatile unit that we have. 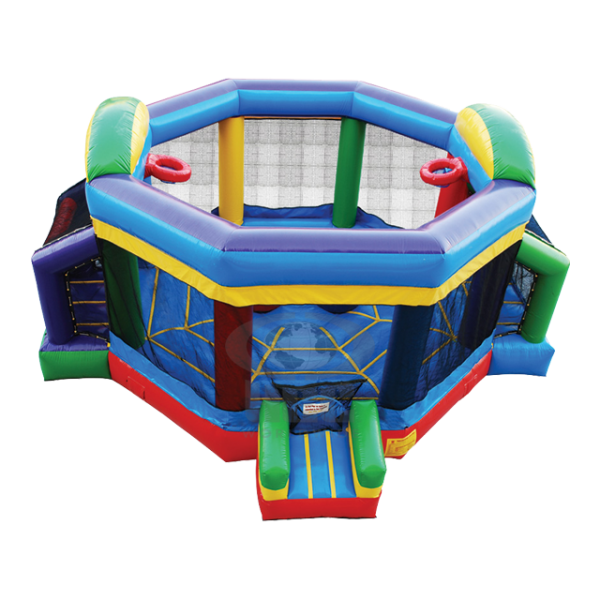 It has two built in soccer goals, two basketball hoops, a large bouncing area with the option to make it a joust arena! Give us a call to reserve these units don’t last long during graduation season!